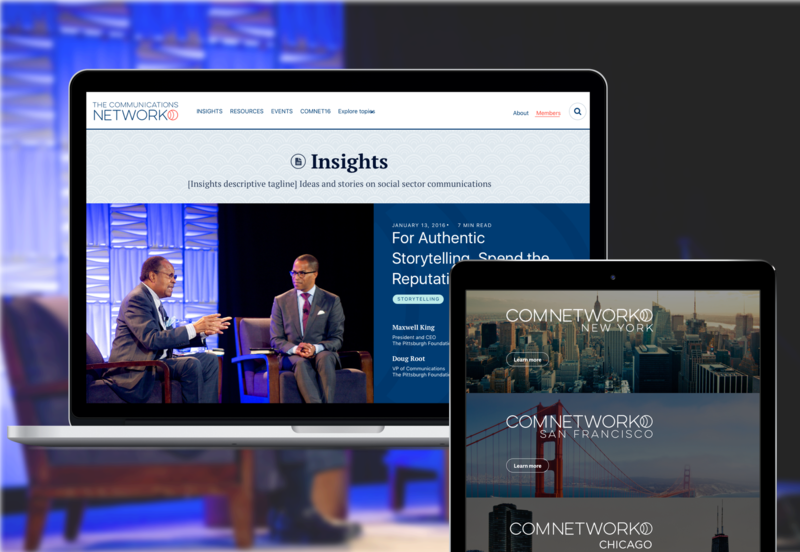 The Communications Network supports foundations and nonprofits by offering opportunities for social sector leaders to connect with and learn from each other, and by championing best practices in the field. To do this with increased authority, it needed to bring its own digital approach in line with today’s modern media environment. Further, it needed to refresh its visual identity to better represent the organization’s own role as a connector and leader in the communications landscape. Atlantic 57 worked alongside the Network to reinvent its brand identity as a beacon for communications leaders. The new brand is at once familiar, embodying the same story of connecting people, ideas, insights, and information, and also refreshed, reinvented to fit the contours of today’s digital world. We helped position the Network as the premier destination for skills building, learning, and insights from social sector communication experts with a new content strategy, website redesign, and content management system (CMS).